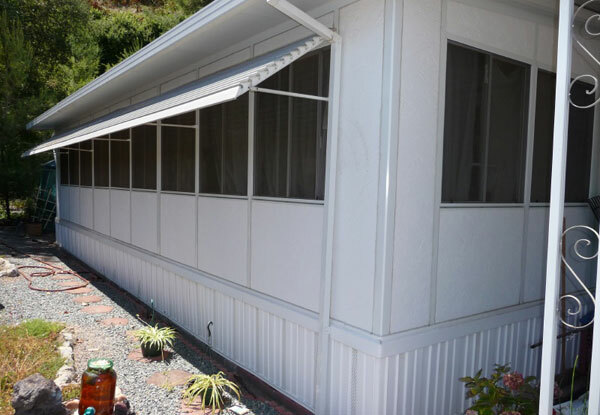 Since 1963, Aluminum City has provided Rancho Penasquitos with the best value in patio covers, window awnings, door hoods, carports, pergolas, and patio room enclosures. As a locally owned business with over 50 years of experience in the sales, design, and installation of patio covers, we are proud to provide a level of expertise and skill that is practically unrivaled in the San Diego County area. That's why Rancho Penasquitos homeowners and business owners come to us first when they seek knowledgeable guidance and honest recommendations. Plus, with superior patio cover installation services, competitive rates, and lifetime limited warranties, we'll make sure that our clients get the results they envision at the best possible price. We believe that in order to give our clients in Rancho Penasquitos the best results, we need to start with quality materials. That's why we work with US-based, trusted manufacturers, such as Four Seasons Building Products, who excel in aluminum shade projects. As a factory-authorized Four Seasons Building Products dealer, we sell and install their complete line of patio covers, pergolas, carports, and patio rooms. These products are known for their high-quality structural aluminum, Lifetime Limited Warranty, and superior methods for fabrication. 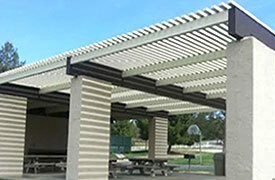 Since we buy direct from the manufacturer and have no salesmen or subcontractors, Aluminum City is able to offer Four Seasons Building Products' patio covers, pergolas, carports, and patio rooms at prices that are often much less than any other patio cover company serving Rancho Penasquitos. 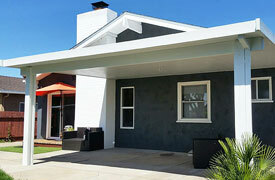 Aluminum City's commitment to quality, affordability, and customer satisfaction has not only earned us thousands of satisfied clients and an A+ rating with the Better Business Bureau, but it has allowed us to remain one of the most sought after patio covers company in the Rancho Penasquitos region. 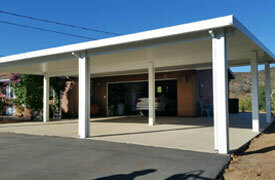 Whatever your patio cover, pergola, awning, carport, door hood, or patio room enclosure needs, we are here to help. Aluminum City is open Monday through Sunday, from 7:00 am to 10:00 pm. Call today for a complimentary on-site consultation. Aluminum City is licensed, bonded, and insured. Aluminum City provides Rancho Penasquitos' residential and commercial clients with the best value in patio covers. Constructed with superior quality aluminum and built to be structurally sound and long lasting, our patio covers are the perfect addition to any outdoor area. They are virtually maintenance free, competitively priced, and known to retain their look for decades. Depending upon your need, preferences, and budget, our experts will recommend either a standard, Alumnawood-like, or insulated solid top aluminum patio cover. The standard cover is ideal for homes and businesses that wish to shelter their patio from the sun and rain. Our Alumawood-like cover is similar to our standard cover, but with a wood-grain texture to more closely resemble the look and feel of wood. Those looking to create a sunroom or patio room will likely want to select our insulated patio covers. Once you decide upon the size and style of your patio cover, you can customize its color, column post, end cut, and more. With our solid patio covers, we can also put in lighting fixtures, skylights, and ceiling fans. We are a locally operated with decades of experience installing high quality patio covers, and we are proud to say that our commitment to quality, affordability, and customer satisfaction has allowed us to build strong long-term relationships with our valuable Rancho Penasquitos customers. To learn more about our affordable and long lasting patio covers, call Aluminum City. We provide all of our Rancho Penasquitos clients free on-site consultations and estimates, call us today. Aluminum City's lattice roof pergolas (or lattice patio covers) are an affordable and beautiful addition to any Rancho Bernardo property. These highly customizable patio covers are made from top quality, structural aluminum from Four Seasons Building Products, a leading manufacturer in the industry with one of the best warranties for patio covers. When you call and make an appointment with our patio cover experts, we'll help you make well-informed decisions about the design of your pergola. Options include whether to make your patio cover freestanding or attached; which color will best complement your property; which type of style, end cut, and column or post to select; how far should your lattice project; and whether you should choose a smooth or wood-grain texture. Call us today to schedule a free on-site consultation. 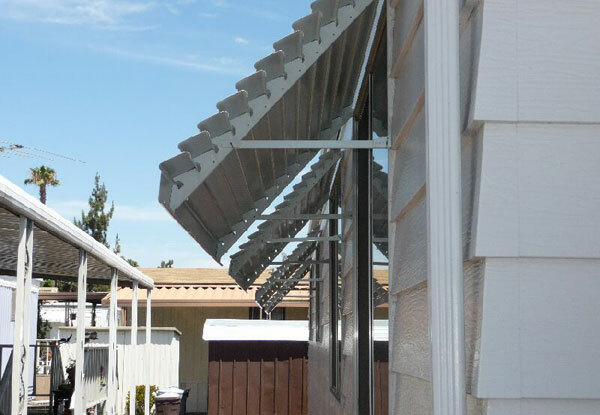 Install window awnings to manage the sun's relentless UV rays at your Rancho Penasquitos home or business. Not only will these window awnings effectively dissipate the heat and prevent it from storing up underneath and entering your home or business, but they'll also offer a distinctive and beautiful look to any home or business. Our window awnings come in the "Panorama" style: a horizontal mini-blind made of 3.5" aluminum slats installed at a 45-degree angle to block the sun and rain but not the view. As with our other shade systems, aluminum window awnings provide superior durability and require little to no maintenance. Call the patio cover professionals at Aluminum City to design and install the perfect window awning for your Rancho Penasquitos, California, home or business. 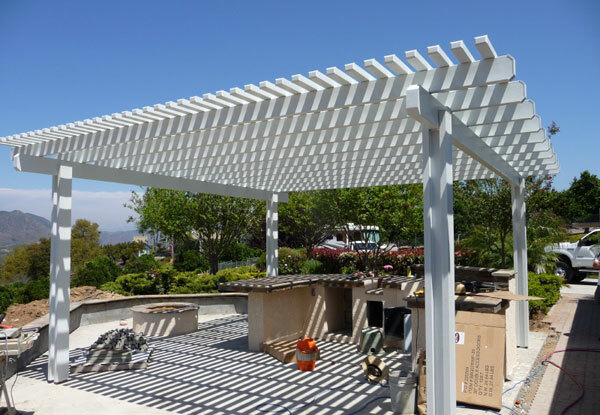 Expand your entertaining and living space by having our professional shade system installers build a patio room for your home or business in Rancho Penasquitos. Patio rooms, or California rooms (as we like to call them), are always custom designed to meet our clients' needs and budgets. In general, patio rooms include insulated roofs and walls; dual-glazed, low-E windows; standard or sliding doors; gutters for proper water drainage; and an electrical raceway for ceiling fans and lights. Upon request, we can also put in a skylight. 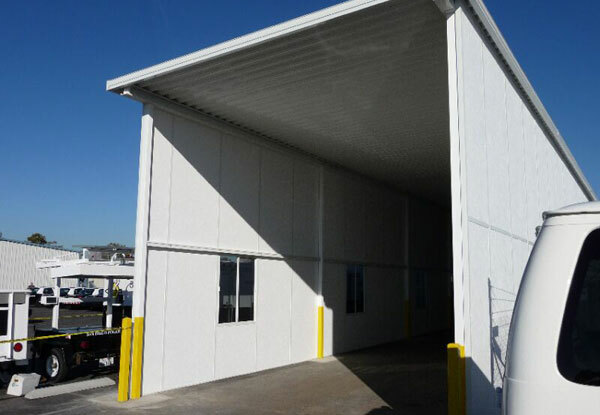 At Aluminum City, we understand that adding rooms can be costly and time consuming; however, Aluminum City's California rooms provides an more affordable alternative that takes just a fraction of the time to complete. To extend your living space in Rancho Penasquitos, call Aluminum City today. All California rooms are built to code and backed by Four Seasons Building Products' Lifetime Limited Warranty. 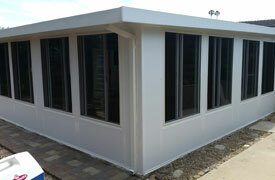 Patio room enclosures are an incredibly affordable way to add on to your home or business to create more living space. These rooms can offers many of the same features as a room addition, such as doors, windows, electricity, and insulation, but cost many times less. Call Aluminum City to learn more about our affordable, beautifully designed patio room enclosures. We offer free onsite estimates to all of our Rancho Penasquitos clients, and we are licensed, bonded, and insured. My husband and I are very happy with our new carport. It looks great! Robert and Ed were very professional, very nice and they answered all our questions. Red, Thank you for a speedy, excellent job. 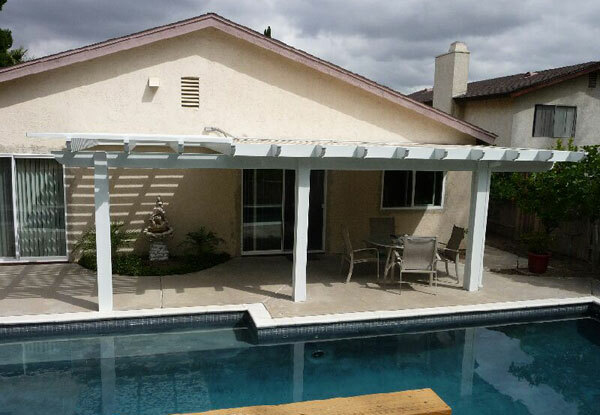 We installed this patio cover in Rancho Penasquitos, CA. The homeowner wanted an embossed wood grain, freestanding aluminum lattice patio cover to provide shade for a barbeque area.